ONCE again harness racing participants have proven to be one big generous family. Following news of Aleisha Hausler’s terrible cancer ordeal, industry identities have joined forces to make donation and help raise valuable funds for her treatment. Hausler is the daughter of astute trainer Ian Stanley and sister of popular horseman, Michael Stanley. Four months ago the 33-year-old discovered a small lump on her breast, which doctors diagnosed as Stage 3 invasive ductal carcinoma, a cancer traditionally found in woman over 60. Along with donations via GoFundMe page, money was raised via a Family Fun Day at the Wheatsheaf Hotel in Terang yesterday, which also included an auction. More than 40 items were auctioned online and during the afternoon, including a service to Alabar’s successful stallion, Grinfromeartoear. Hamilton’s Jimmy Barker was the successful bidder for the service, which was generously donated by the leading breeding establishment. Another highlight of the day was the challenge Hausler’s daughter Jordan issued to her grandmother – Mavis Stanley. 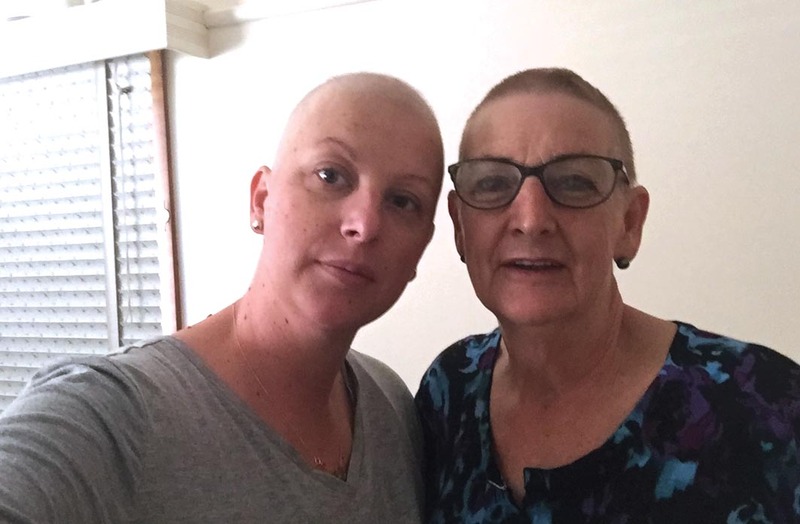 With Hausler shaving her head as a result of the chemo, Jordan decided a ‘shaving kitty’ was an ideal way of supporting her mum’s decision. As such, more than $4600 was raised for the shave, with the function and auction’s total reaching $15,740.